"Oprah Effect": Blessing or Curse? - Premium SAP performance when usage spikes! Title: "Oprah Effect": Blessing or Curse? 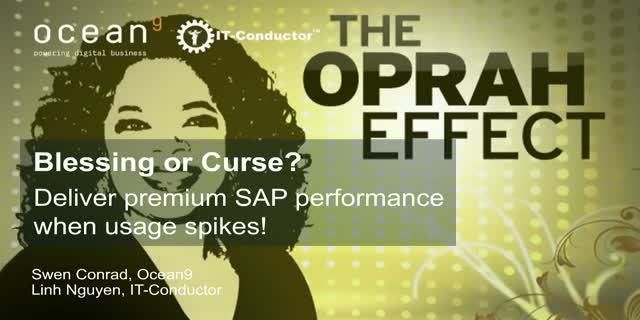 - Premium SAP performance when usage spikes!